OTI's Aerelight OLED is a high-end luminaire that uses a single OLED panel to provide 1,000 lux. It is made from an anodized aluminum frame that responds to touch, for intuitive power and dimming control. It also features a built-in wireless charging pad to charge all of your Qi compatible mobile devices. 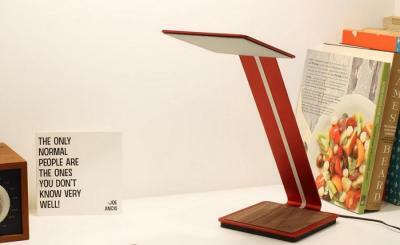 The Aerelight OLED desk lamp is now shipping for $299.